Industrial sandblasting (with shot blasting tunnel) is a well known process in which products were subject to erosion due to high speed airflow and sandflow. A similar approach occurs with shot peening. In that process, also the components of the working machine are subjected to erosion, due to the corrosive materials flow. Hard metal is frequently used in order to increase the life-cycle of components subject to wear. It is applied in nozzles, bolts, regulation plugs, etc. FILMS takes part of this sector and these products, offering many kind of hard metal powders. FILMS is not only a supplier of standard anti-erosion components, but also proposes itself as a design partner in order to develop, together with the customer, new technical solutions with the main objective to reduce costs. Starting from a client request, our research team studied an innovative solution that allowed a rise of efficiency in the sandblasting systems, working in the launch turbines. Due to the movement of corrosive materials, some components are subject to wear and require routine maintenance. 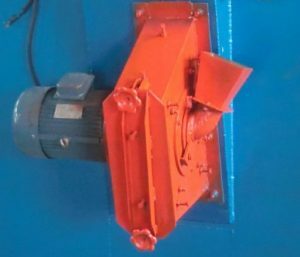 The presence of hard metal plates is needed and also essential are frequent maintenance checks due to the degradation of the walls of the turbine. FILMS has produced new plates that are not only resistant but also have an advanced bonding production technique of cast iron to the turbine. Thanks to this solution, the detachment of plates for maintenance has been simplified, with a consistent improvement of machine efficiency due to a drastic reduction of maintenance time and frequency. Our solution is still not so diffused in the sector, and gives to those who implement this strategy a competitive advantage. The focus improvement on the production process, allowed a more efficient productive solution with a small margin of error, being able to achieve client satisfaction. FILMS engineers work every day on critical production processes and receive client feedback. This collaboration and cooperation makes the team understand and interpret latent needs. FILMS laboratory works closely with the technical office making deep metallographic analysis (thanks to numerous dedicated lab tools), but also by replication of customer critical processes. The presence of FILMS continues also after product sale, with continuous analysis of results and the study ofbetter solutions, according to our “continuous improvements” strategy.